Tanzania needs little introduction. The huge herds of wildebeest, zebra and gazelle that make up the Serengeti migration visit the Southern end of the Serengeti National park in January, February & March. At this time of the year the grass is short and rich in nutrition, attracting the largest concentration of game animals to be found anywhere on Earth This is also the time when these animals give birth. The predators move in to take advantage of this easy source of food; it is undoubtedly one of the most spectacular wildlife experiences one can witness. Lion, cheetah, hyena and jackals are plentiful and easy to spot in the short grass on the vast plains. Apart from Serengeti, visits to the well known Ngoro Ngoro Crater, Lake Manyara National Park and Tarangiri National Park make wonderful additions to the migration experience. 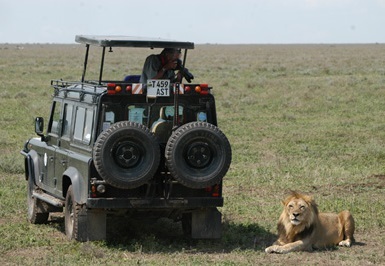 These parks are within close proximity to each other and can be visited on a ten to twelve day Tanzania safari.